CRICKET legend Mike Procter has been lined-up as the next special guest at a David Shepherd Cricket Trust luncheon. Procter, who played for Gloucestershire in the 1960s and 1970s, was rated as one of the best cricketers in the world and has the stats to prove it. In First Class cricket the South African-born all-rounder took more than 1,400 wickets and scored nearly 22,000 runs. Procter’s record in limited overs cricket was equally impressive: 6,600-plus runs and 344 wickets. South Africa’s apartheid policies meant they were banned from international competition for most of Procter’s career. He played in 10 Tests, scoring 226 runs and taking 41 wickets. David Shepherd, the charity’s inspiration, was a team-mate at Gloucestershire, as was seam bowler Jack Davey. Davey, now a trustee of the DSCT, shared a dressing room with Procter for more than a decade. That long-standing link enabled the Trust to team up with Procter for a joint fund-raising event. 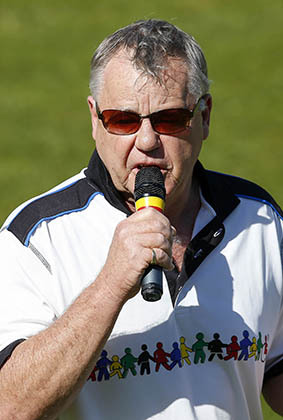 “Mike has his own charity over in Durban – the Mike Procter Foundation – which does a huge amount of work with disadvantaged youngsters,” said Davey. “Almost every year Mike comes over this country to see old friends and raise money for his charity. Cricket author and publisher Stephen Chalke will be quizzing Procter about his career and life after professional cricket during a question-and-answer session after lunch. Tickets, priced at £40 each for a two-course lunch and coffee, will go on sale shortly. 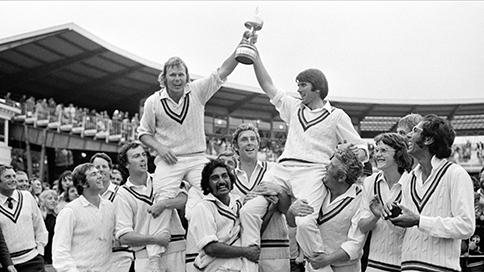 Further details on the David Shepherd Cricket Trust website. The charity aims to invest around £20,000 a year in Devon in projects that encourage youth cricket for all age groups and abilities.